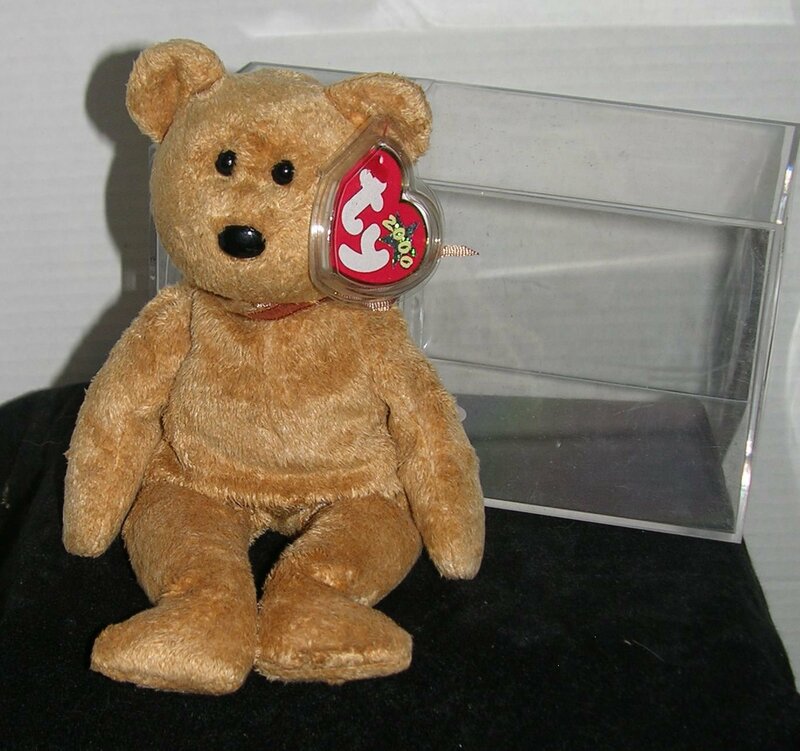 Beanie Baby Cashew Bear- 2000 Hologram tag - Ready for the hunt! Mint Beanie Baby Cashew Bear- 2000 Hologram tag - Ready for the hunt! Mint Beanie Baby Cashew Bear- 2000 Hologram tag - Ready for the hunt! MintMint Condition Hand Made in ChinaBirthday - April 22, 2000I like to swim and climb in treesI like to visit with the beesBut what I really want to doIs be your friend and be with you!Polyester fiber and PE PelletsHe has been stored and displayed in CaseCase not included in SaleT01_____This is in my possession ready to ship. Interested in this item - Just Follow us and see new interesting items each day.Click on this Link Then + FOLLOW Free Shipping with confirmationwithin Continental US. Pay with PayPal or Credit Card PLEASE review all pictures and read item description and ask any questions you may have before purchase. I work hard to honestly describe everything accurately and try and display multiple photos to help describe an item.Many items come from product, Consignees and other sources where some information is limited and items are actually pre-owned. Although I try to do a informative description and state the condition of an item I may miss something, just ask about information I may have missed. Please message me with any concerns I work hard to please my customers Remember to leave feedback Item Check List Description: above Size: stated Condition: Mint Scratches: no Rubbed paint: no Chips: no Material: Cloth Polyester Weight: above Notes: Beanie Baby Need more information that may not be provided Please Just ASK!Check out my other items! FREE! Sellers: Add a FREE map to your listings. FREE! Powered by eCRATER . List your items fast and easy and manage your active items. MSI Glided Ribbon Wire Edge Velvet with scrolling 3 yards - 2 1/2"